Today we’d like to introduce you to Zane Cai. Zane, please share your story with us. How did you get to where you are today? I have been a green tea drinker since I was young. But I could not buy quality green tea in the US in any stores and I had to ask my friends in China to ship tea to me. And I found that so many people were talking about green tea health benefits and many were claiming that they were drinking green tea or they wanted to drink green tea for its health benefits, and so many Americans are overweight and have problems somewhat associated with overweight. Green tea, as we know, is very effective in losing weight and helping lowering blood sugar, blood pressure and etc. If Americans with the common health problems like overweight, high blood sugar, high blood pressure, low energy and etc can just consume some good green tea, their health could be improved substantially. Unfortunately, most Americans didn’t know that the green tea generally available in the US market was not the green tea that supposed to have many health benefits — most green tea in the US were low-quality, to me, it was not drinkable. The low quality green tea was ruining the good name of green tea and did not help people much in improving their health. Then, I began to think: why not bring some good green tea from my hometown to the US, for myself and for those who want to improve their health? 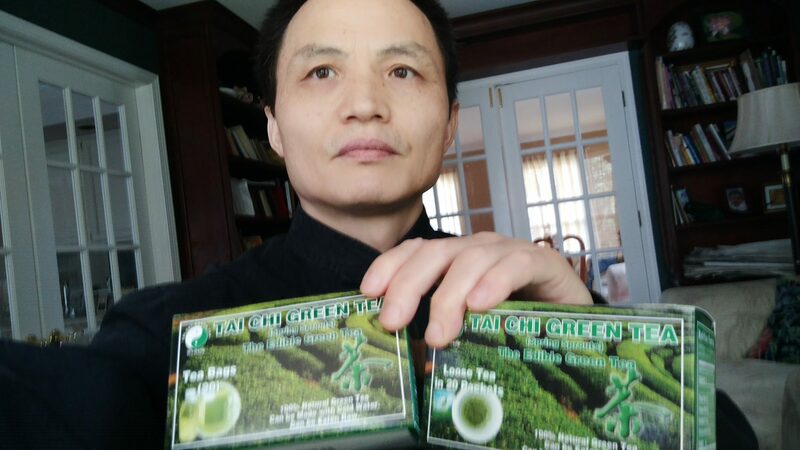 In 2005, I registered Tai Chi Green Tea Inc (Tai Chi means “the ultimate superior”) and imported 50 pounds of green tea picked in early spring from a famous tea farm in my hometown, packed in little packet of loose tea and tea bag and tried to sell it in the local grocery stores. Few stores were willing to try it for the tea was too expensive (retailed at $18 a box of 20 servings, the tea must be kept refrigerated), but a high-end grocery store in the North Suburb agreed to try it. 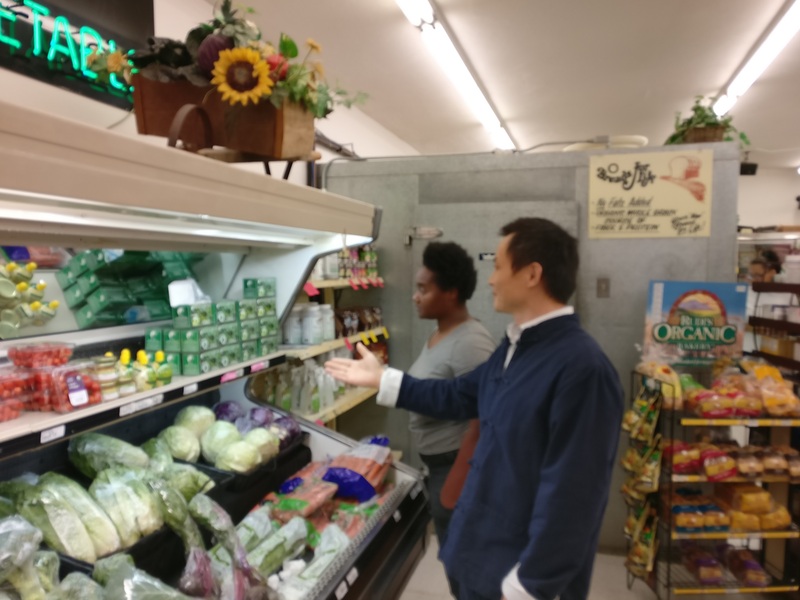 The next Saturday, I brought 18 boxes of the tea to do a demo in the store. Unexpectedly, people loved the taste of the green tea and all the tea was sold out in 3 hours. I found that the demand for high-quality green tea was there. All the tea I imported was sold out in a short period of time, thus the next year, I imported more. At the time, I was working at Discover as a statistical analyst. The pay was good, the job was secure. I only promoted tea on the weekends. Since the tea sold so well and the potential was great, in 2007, I quit my job at Discover and began to promote Tai Chi Green Tea. The tea sells especially well in natural food stores or health food stores. 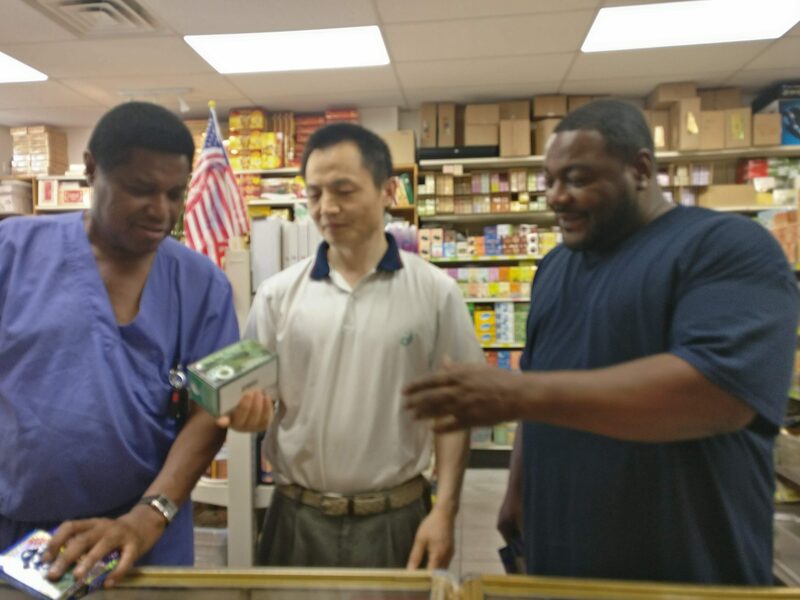 Since the tea truly helps people in getting rid of their pain, losing weight, lowering blood sugar, blood pressure, boosting their energy and making them fell good, Tai Chi Green Tea slowly gains the popularity in Chicago area. 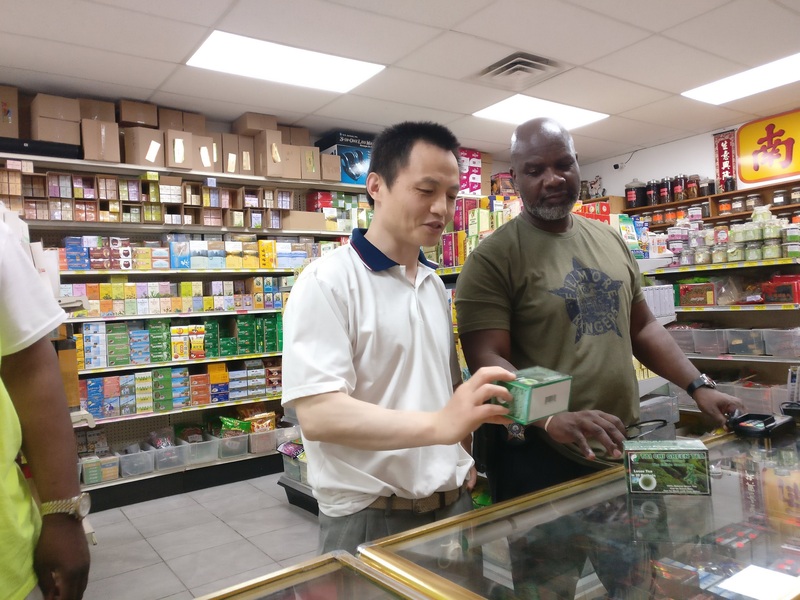 Almost all the privately owned health food stores in Chicago began to carry Tai Chi Green Tea since 2008 and we had hundreds of loyal customers around the country. Customers are kindly recommending Tai Chi Green Tea to others and our green tea gets more and more popular. 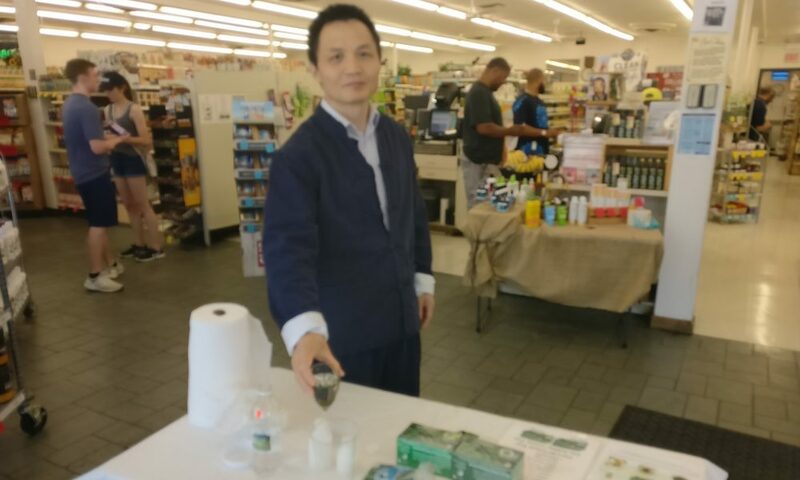 Now, we have a solid customer base, though our business is still small, the positive feedback from hundreds of customers claiming that our green tea changes their life makes us really enjoying what we are doing: bringing the best green tea to customers to help them to lead a better, healthier life. Of course, the road is not smooth. I ran into two big struggles. One is that I lost a lot of money in 2008 and put my business in debt till now; this puts a lot of pressure on me and my family. The other is that I ran into a litigation, which caused me a lot of headaches. The biggest blow to me was in 2007-2008. Since I planned to quit my full-time job in 2007, I ordered a lot of more green tea for 2007-2008 based on the sale record in the previous year. I thought if I worked on promoting the tea, the tea sale would increase sharply. But, I was too optimistic and forgot that doing business, you must always prepare for the unexpected. In 2007-2008, suddenly all the US media and even some politicians rose up to cry against Chinese products — it was said cat foods imported from China caused the death of hundreds of cats in the US. All the media were talking about the poor quality of Chinese products, especially foods. Since my green tea was from China, the US media bashing of Chinese products hit the sale of my tea like hails on tiny shoots of vegetables. Not only the sale of the tea in the stores decreased sharply, the biggest problem was that I could not open new accounts — many stores heard that the tea was from China, they just said no. I could not argue with the media, though I tried to inform the buyers at stores that our green tea was organically grown, it must pass all the strict test at the Chinese custom and US custom, I drank more of the tea than any of my customers – the quality of the tea was guaranteed, still, not many stores were willing to carry it and the sale of the tea kept stagnantly. However, green tea has a very short life and the “best before” date was printed on the boxes — the tea must be sold in one year. At the end of 2008, I had to donate 3/4 of the tea I ordered to Food Bank. And that resulted from a big loss and I was in debt. After that loss, I had to struggle to survive. What’s more, I buy the tea paying the supplier with Chinese currency. While in 2008, the exchange rate of the dollar to Yuan, Chinese currency, is 1: 8.30. Since 2008, Chinese currency keeps appreciating, in a few years, the exchange rate became $1=6.20 Yuan. That means, the debt I owned to the Chinese supplier increased about 30 percent and the cost of tea increased 30%. Though the cost of tea increased, I have to keep the wholesale price and the retail price the same. For years I was in fact bankrupt. The financial situation put great pressure on me and my family. Still, I chose to stay in business. I believe to bring good green tea to help people is a great cause. As far as my green tea could help people improve their health, I will have my reward. The other struggle is a litigation a company filed against our trademark Tai Chi Green Tea since 2015. The company claimed that our trademark would likely cause confusion with their trademark, thus filed to the US Trade Mark Office to demand them to cancel our registered trademark Tai Chi Green Tea. Because our trademark is so strikingly different from their trademark and I believe it is totally nonsense to demand the cancellation of our trademark, I tried to represent myself and defend my trademark at Trial and Appeal Board of USPTO. The other party hired two attorneys (they must have more resources), and I struggled with them for more than two years. It took me so much time. I was sure I was going to win. But the Trial and Appeal Board of USPTO made a ridiculous decision to cancel our trademark — the Board did not know what Tai Chi means and they ignored all my presentation. Armed with the Trademark Office’s decision, the other party demanded us to stop selling our green tea with the trademark on immediately, destroying all our green tea, and surrender our webpage “taichigreentea” to them or they will sue us for “infringing” their intellectual property. I knew some people in this country enjoy filing litigation to extract easy money from others, I didn’t expect them to set their eyes on me. I had to defend myself, but I could not hire an attorney — it costs too much. I had to represent myself and appeal to the Federal Circuit Court for the senseless decision of USPTO. It was a painful process and it caused me so much headache. It is a nightmare when you ran a small business and ran into a litigation troll. But I believe in justice in this country. I will win in the Federal Court. Tai Chi Green Tea Inc. – what should we know? What do you guys do best? What sets you apart from the competition? Our company name is Tai Chi Green Tea Inc. Tai Chi means “the supreme ultimate” or “the ultimate superior” or the “top”. Tai Chi Green Tea simply means “The Best Green Tea”. I sell our branded green tea in grocery stores, health food or natural food stores and online. 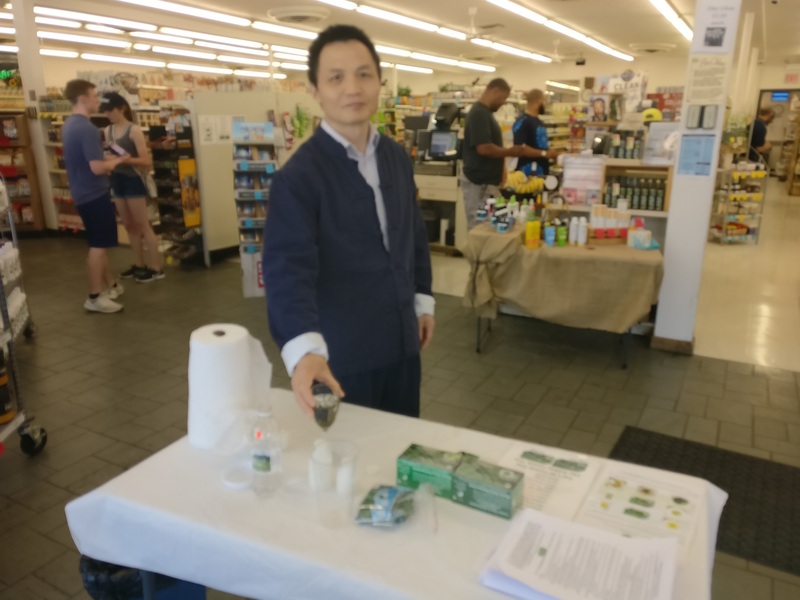 I do demo at stores to let people taste our green tea, tell people how to make green tea, how to enjoy the best health benefits of green tea according to their specific health conditions. I make videos (posted on youtube) telling people how to enjoy green tea to maximize green tea’s health benefits. I was grown up in a Chinese herb doctor’s family (My grandpa was a herb doctor), and I learned a lot about green tea. Green tea actually is a medicine, for it is generally safe to take, it is not labeled as a medicine. If choosing the right green tea and taking it right, it can improve one’s health tremendously. Many of the illness among people in modern days could be helped. I know how to judge green tea, how to store green tea, how to choose green tea and how to take green tea according to one’s health conditions. 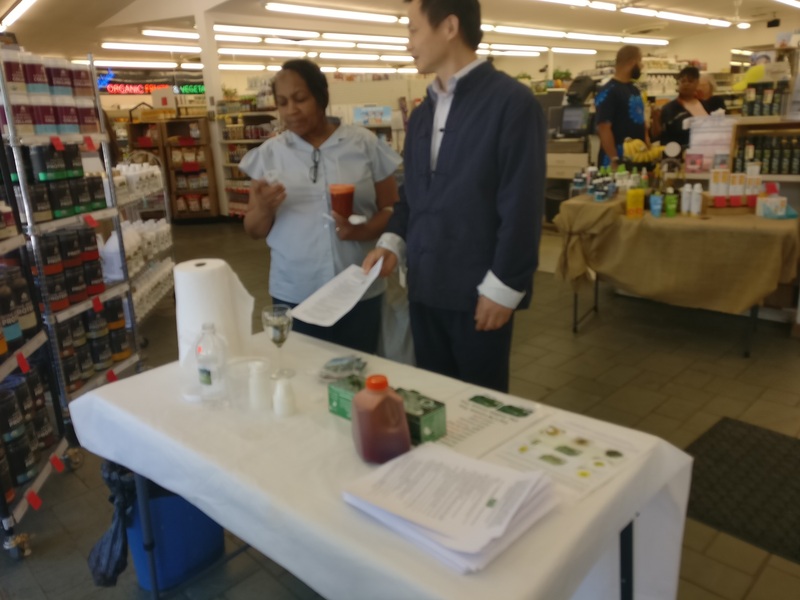 We are not only selling green tea but educating people about green tea so people can get the most health benefits from green tea. Most Americans don’t know the difference between high-quality green tea and low-quality green tea. I teach them to judge green tea, to taste our green tea and develop a good taste for high-quality green tea. To make our green tea matches its name “Tai Chi Green Tea” (the extremely supreme green tea), we only select green tea from a tea farm from my hometown which is famous for its good quality and medicinal effects. The tea was grown on mountains about 1000 meters above sea level. We only pick the baby leaves in early spring. This tea picked in early spring is known to have the most medicinal effects. Since our tea is the baby leaves picked in early spring, it can be eaten raw and can be made with cold or cool water. Customers can just keep a packet of loose tea (one serving, see image here: www.taichigreentea.com) on hand and eat a few pieces of the loose tea or just eat the tea from the tea bag, or sprinkle the tea on food to eat it raw, or put the tea in a bottle of cold water to drink and eat it. The loose tea packed in a small packet (one serving) is unique in the US market ( we are the only one pack loose tea this way so far). We are the first to bring this edible green tea to this market and advise people to eat the tea raw directly from the packet of loose tea or tea bag and make the tea with cold water. This enables people to consume our green tea in a very convenient and easy way, so more and more people can enjoy the health benefits of green tea. We are the first to request all the retailers and consumers to keep the green tea refrigerated. We make sure our green tea is the freshest and for green tea, freshness is the key. We are most proud of our achievement in improving so many people’s health and life with our green tea. 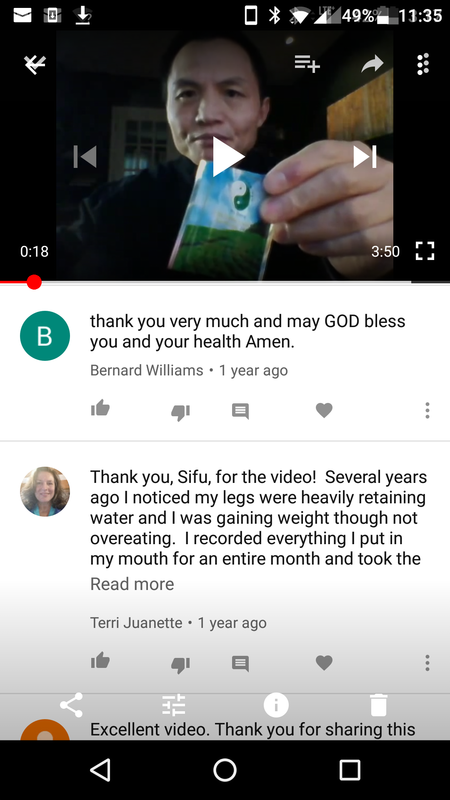 There are many customers are making warm comments about our green tea on youtube ( typing in “Tai Chi Green Tea” one can see people talking about our green tea ). So many people’s life has been positively changed because of our green tea. 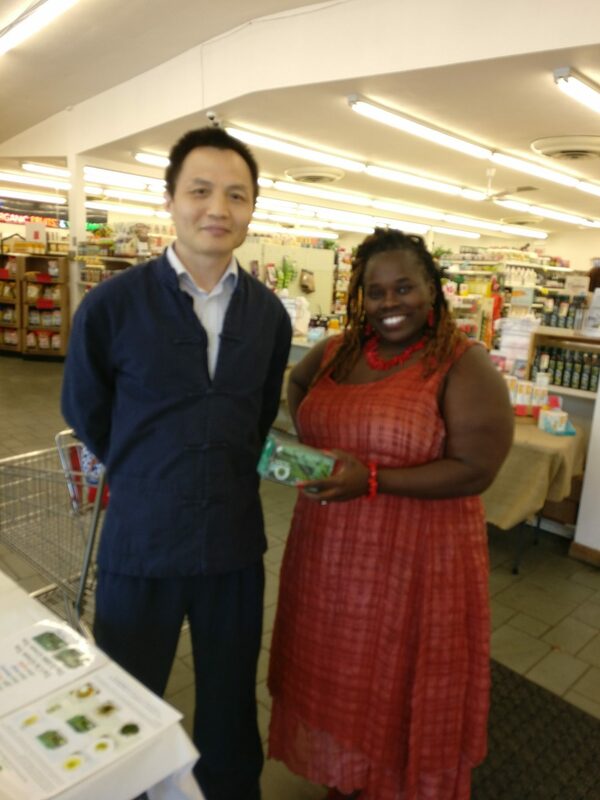 That is the greatest reward I get from working hard to introduce Tai Chi Green Tea to people. To me, success is that you can make a positive difference in the world by doing something that brings joy and satisfaction to yourself just for doing it (not for fame, not for monetary gain or anything else); the greater the difference you can make, the greater the success is. So many people are suffering due to their poor diet or drinks. Just adding good green tea to their daily consumption, many people’s lives can be improved tremendously. So far, hundreds of American people’s life has been improved after taking our green tea. People are introducing Tai Chi Green Tea to their friends. We have a solid customer base. I feel thrilled when people told me that their life had been changed for better because of our green tea. There is a Chinese saying “keeping on doing kind things, you will certainly be rewarded”. I already got a lot of rewards. I hope I can bring our green tea to more people, so more people’s health can be improved and their life changed for better; and subsequently, the society will be better-off for less medical care is needed.